Nabeel Qureshi is fighting stomach cancer. Please pray for him. His closing statement in this debate is packed with a rare combination of substance and passionate discourse that only comes from someone who knows BOTH sides of an issue and is certain in what he knows that it is truth. David Wood draws distinction between Criticism of religions and criticism of the people of those religions. Just as Christianity is a religion and Christians are people, so it is that Islam is a religion and Muslims are people. All people have equal worth. Religions however are ideologies comprised of beliefs, values, and percieved truth claims that are hierarchical. All truths are not equal. Did you know there was a war in Heaven? It’s true, and some of the details of this incredible event are revealed to us in the Bible and have lasting implications for mankind. “Now salvation, and strength, and the kingdom of our God, and the power of His Christ have come, for the accuser of our brethren, who accused them before our God day and night, has been cast down. And they overcame him by the blood of the Lamb and by the word of their testimony, and they did not love their lives to the death”. Lucifer was said to be the angel who reflected God’s glory. He wanted to be God and tried to overthrow God. 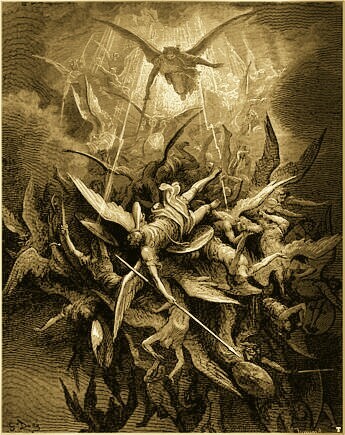 One third of the angels followed him in this revolt. It is recorded in the Bible in Isaiah 14. The implications for mankind from this event have lead to the fall of mankind from relationship with God and the change from an innocent nature in mankind to a moral consciousness of right and wrong. That also means we have become responsible for our actions, impure, and unable to know our Holy perfect God in our current state. This happened in the Garden of Eden when the disobedience of first man and woman occurred after Satan tempted the woman saying, “You will be like God,”, the same prideful ambition Satan succumbed to. And to bolster these claims we also know that the oldest book of the Bible, the book of Job, also portrays Satan as our accuser as he is referenced here, “the accuser of our brethren”, and the unseen reason for many of mankind’s sorrows and trials. Satan appears to be desperately appealing to every possible scenario to prove that he has been unjustly judged by God as he awaits his sentence to be carried out. But we have an advocate with Father God who is Jesus Christ His Son. He came from God to be one of us. He alone lived a perfect sinless life. He willfully died a cruel death to pay for our sins. 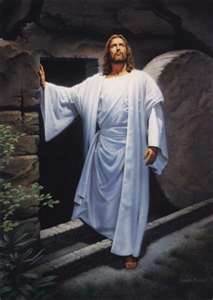 He rose from the dead to defeat death and offer life to all who believe. Trust Him as your Savior today. Rest in Him for all your tomorrows.